Thanks its really very good because it will be help for saving the unwanted call charges. We take great pride in our business and in our ability to provide expert solutions in the area of outsourcing call centres. Well seems like a great idea to provide with a POP or Cloud Contact Center to reduce the talk time. Another technology that has drawn my attention is Cloud Telephony. Is it somewhat related to this context? I have been researching on it and I think it's a revolutionary technology for SME's to adopt. Nice post, I bookmark your blog because I found very good jobs on your blog, Thanks for sharing more information on inbound call centers. Thanks for that information about inbound call center. I would like to in for that There are hundreds of different providers of inbound call center software across the globe, and every call center software system has its pros and cons. When selecting the right call canter software for your business, sip2dial is the right choice for you. What are you waiting for now? 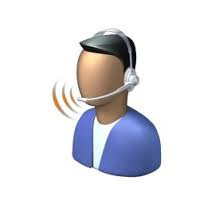 Please connect with us http://sip2dial.com/products/call-center-software/ today.